Currently half way thru the Back To The Egg TV Special (posted over at the Beatles Video of the Day) which is promo's for a number of tracks from the alnum of the same name and screened on BBC 1. 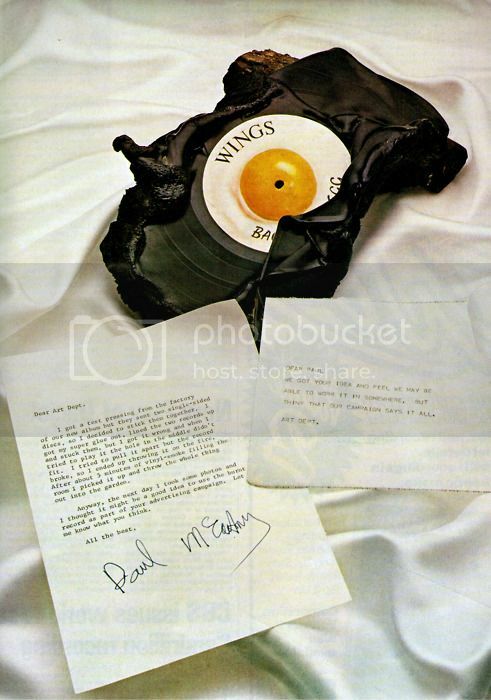 The Back To The Egg TV special was a program containing music videos from the Wings album Back To The Egg (1979). It was first broadcast on BBC1 on June 10, 1981, two years after the album had been released. Two of the videos ("Goodnight Tonight" and "Baby's Request") were released on The McCartney Years DVD boxset in 2007. However, the special in its original form has yet to be released on DVD. This particular version has been transferred from an old video cassette tape of the UK TV screening. It's very enjoyable, well worth watching, and of course the music is excellent (its also cute to see Paul feed a horse with sugar out of his jacket pocket). Back To The Egg is such a good album. Will also add the Rockestra special since its from the same LP. Love the little musical intro "Reception" that opens the album. Back To The Egg is a good album. It's not my favorite Wings album but it's not nearly as bad as it's been made out to be...a lot of that was down the the critical drubbing it got by people who, for whatever reason, had a hair across their arses when it came to Paul. There are some weak tracks on there but there's some great stuff, too: Getting Closer, To You, Arrow Through Me, Old Siam Sir, Spin It On, Baby's Request. Also, Paul was dead-wrong in his argument with the record company...Goodnight Tonight and Daytime Nighttime Suffering absolutely *SHOULD* have been on the album! Fantastic songs, both. [snip] Also, Paul was dead-wrong in his argument with the record company...Goodnight Tonight and Daytime Nighttime Suffering absolutely *SHOULD* have been on the album! Fantastic songs, both. DrBeatle, perhaps you, acmac, or someone can help me out with Daytime Nighttime Suffering. It just sounds to "happy" and "upbeat" for the words/lyrics. There's such a disconnect in my mind between the presentation and the theme of the song that makes me not want to like it. Discord. Dissonance. Incongruent. But, it sure is a darn catchy tune. I disagree...the verses certainly sound happy/major key even though the lyrics are a bit down, but then it slips into a slightly more aggressive, downbeat/minor key section (the part where he's singing about the river and all that). Very effective songwriting, I think. It's sort of a happy-sounding sad song similar to Another Day , in my view. I'll give it another go with your comments in mind. Thanks, DrBeatle. And, the more I think about it, I think your comparison to Another Day is very apt. Perceptive. Who do you guys think Gettting Closer is about? Written in '74. Love the platform of album side one being sunny side up and side two being over easy. He always had clever album platforms. Getting Closer is a great song. Even Costello last years praised the song in an interview. Judging from the new tapes discovered (apparenty recorded at Dustin Hoffman's house in Spring 1973) the song was recorded around 1972-73 on piano. Hearing the version taped in Jamaica with Hoffman, the song is now taking shape. Paul is on acoustic. 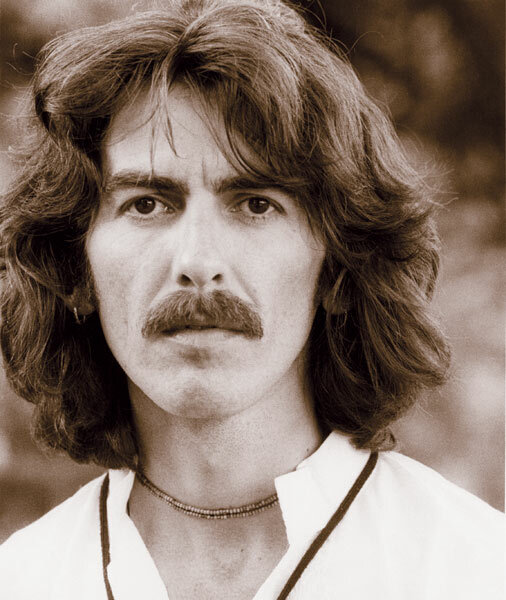 Initially recorded during the Back To The Egg sessions with Laine sharing lead vocals with Paul, the track is one of the best on the album, IMHO. Laurence Juber recalled that he struggled with the guitar solo at the end, and finaly the riff was Paul's idea. A lot of McCartney's lyrics don't make sense. This to me is just another example! Wasn't there one where trcanberra (I think) spoke of buying some special edition through ebay and then we all made silly egg puns? for mmm for finding the thread. I got a test pressing from the factory of our new album but they sent two single-sided discs, so I decided to stick them together. I got my super glue out, lined the two records up and stuck them, but I got it wrong and when I tried to play it the hole in the middle didn’t fit. I tried to pull it apart but the record broke, so I ended up throwing it on the fire. After about 5 minutes of vinyl-smoke filling the room I picked it up and threw the whole thing out into the garden. Anyway, the next day I took some photos and I thought it might be a good idea to use the burnt record as part of your advertising campaign. Let me know what you think. We got your idea and feel we may be able to work it in somewhere, but think that our campaign says it all. I thought someone had burned it as they thought it was rubbish. Finally found this on youtube. Not in as such good sound quality as on 'Eggs Up' but still a fabulous outtake.